Monday morning 7am. Daire Feeney is getting ready for an early morning training session with UCC RFC. 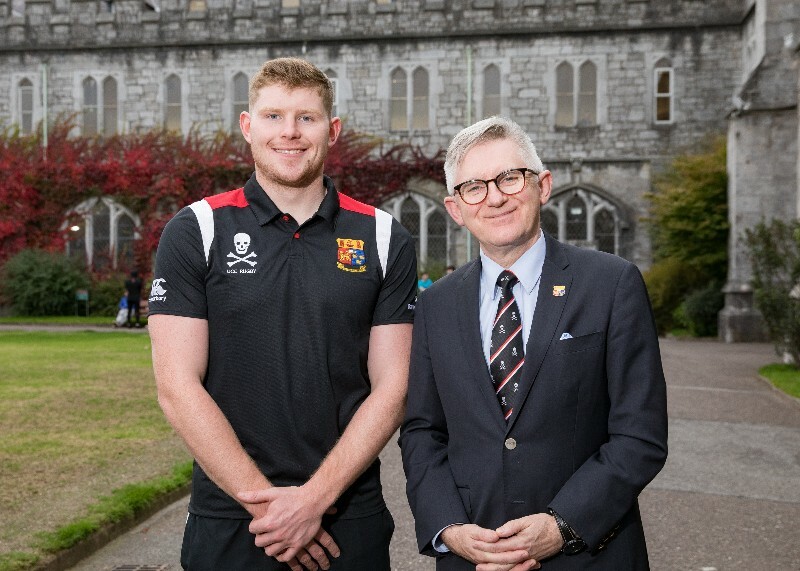 By the time lectures start on campus, the UCC RFC Captain has already burned more calories than most of us would over the course of normal day. This is how Daire and his teammates start their day for the duration of the rugby season. Because this relentless routine has allowed Daire combine his passion for rugby with his academic and career ambitions, he wouldn’t change it for the world. It can be tough. We train twice a day, at 7am and 7pm five days a week, but with the help of the lecturers, staff and coaches, I manage the workload. Rugby helps with networking too. I have met people from a variety of backgrounds and disciplines. I got my BIS placement through rugby. It isn’t just an ordinary placement either. This summer, the BIS student will fly to Christchurch to join Pivot Software for two months and play rugby with Burnside RFC. Although Daire was apprehensive about approaching lecturers and staff, they were immediately open to the idea once the various pieces fell into place. "I didn’t know what to expect when I first approached Professor Joseph Feller and Stephanie Larkin, but they were very supportive. I’m hugely thankful for this opportunity to travel to New Zealand." Apart from rugby, Daire has always been interested in IT. His father works as an IT professional and his brother had previously graduated from the Business Information Systems programme. So when the opportunity to play AIL rugby and study BIS at UCC arose, there was only ever going to be one outcome. "I first started playing rugby when I was six years old in Kinsale. I didn’t know much about the sport at the time, but I loved it. In 2016, I was Captain of the CBC team that won the Munster Senior Cup and went straight into the UCC senior squad the next year. It was a huge leap in terms of quality and intensity, but you get used to it. The best thing about playing with UCC is that you’re togging out with your friends." The camaraderie on the training field is replicated in the classroom where group work encourages BIS students to collaborate and develop key critical thinking and communication skills. "The atmosphere in the class room is really positive. Learning to code can be like picking up a new language, but everyone is there to help. The feeling is really genuine." Looking into the future, Daire wants to keep his options open, but wants to leverage both rugby and his degree to travel the world.